At Knife Depot, we pride ourselves on being a business that works toward giving customers the greatest selection of products possible. So, when we were finally able to sell automatic knives (better known as switchblades), we were downright stoked. 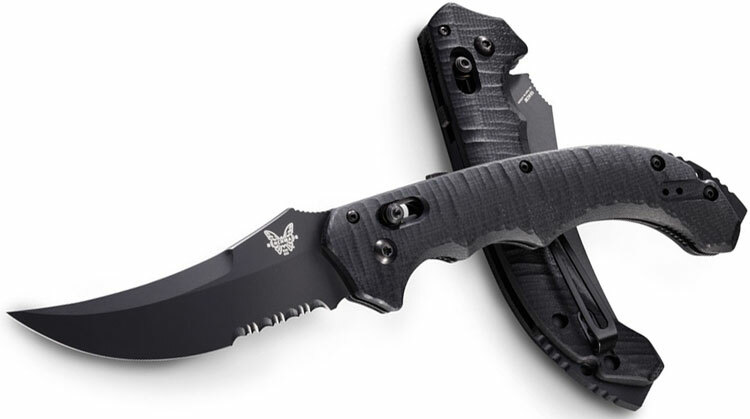 We posted on Facebook and sent out an email to our subscribers announcing the arrival of automatic knives for authorized military personnel and law enforcement officers. Let’s just say that the reception was less than enthusiastic. We received emails from disgruntled fans attacking our automatic knives policy as dumb, ridiculous, and discriminating. The truth is we whole-heartedly agree with the hate mail. Unfortunately, as a business that conducts interstate commerce, we’re bound by the federal law of the United States. The Switchblade Knife Act of 1958 prohibits the manufacture, importation, distribution, transportation, and sale of switchblade knives between states, but there are a few exceptions in terms of what can be mailed across state lines found in 18 USC 1716 (G) and 15 USC 1244. If you didn’t click on the links to the actual code (and we don’t blame you), they basically say switchblades can only be shipped across state lines to certain people, which includes authorized government personnel and those who have the use of only one arm. So how did we get to this point? Let’s go back to the development of automatic knives. 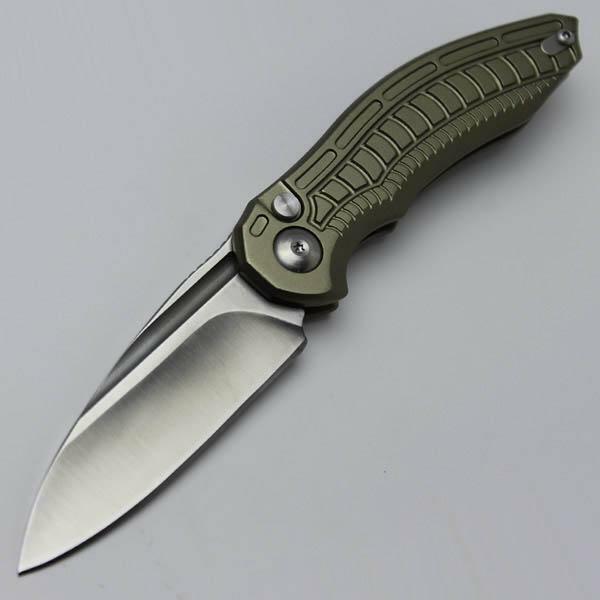 A switchblade is a folding knife that uses a spring-loaded button to fully engage a knife. (If you’re curious, I wrote an article about the difference between a switchblade and assisted-opening knife.) The blade’s natural position is to be open and the button is absorbing that pressure. Once that pressure is removed, the knife opens up. Switchblades were around in ewhe form since the mid-18th century, but those mostly used levers and weren’t very practical. 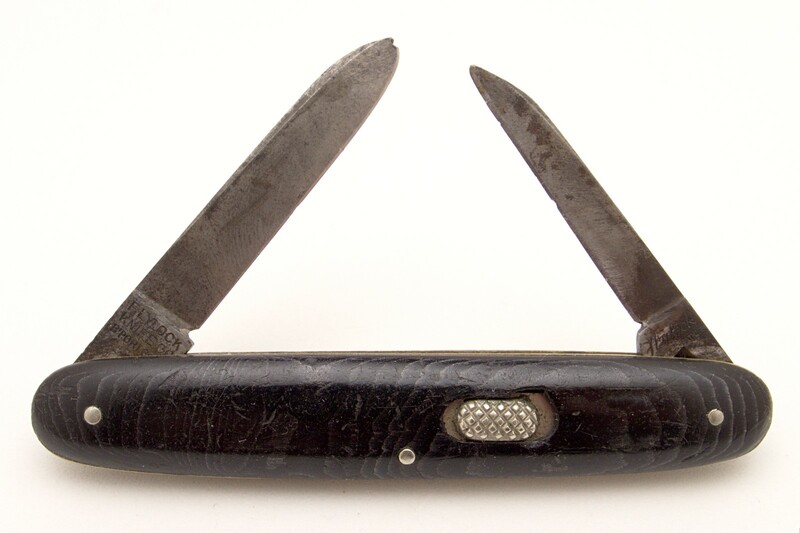 It wasn’t until the late 1800s did George Schrade help pioneer the modern and functional iteration of the switchblade. By 1916, Schrade had created what we know as the switchblade today. He used a button to engage the knife instead of the old lever system. A switchblade from Flylock Knife Company from between 1918 and 1929. Legend has it that the automatic knife was developed in order to make it easier for women to open folding knives without breaking a fingernail. While this is a slight exaggeration, early advertisements did use this aspect as a selling point. Here’s a Schrade advertisement from 1904, according to Gizmodo. No Breaking of Finger Nails. Will Not Open in Your Pocket. Will Not Close on the Fingers When in Use. The Schrade Safety Push Button Knife, of which we are the exclusive manufacturers, is rapidly becoming the leading knife on the market because of its many advantages over the ordinary pocket knife. Being easily operated with one hand it is far more convenient than the old style pocket knife which necessitates the use of both hands to open and frequently results in broken finger nails… This novel knife is especially suitable for a gift or souvenir, as it is something out of the ordinary, very useful, and when furnished with one of our attractive handles makes an ideal gift. What made the knife go from a tool that wouldn’t break your nails to a weapon that was destroying society? We turn to the 1950s for the answer. Let’s set the scene of the time. The U.S. was undergoing a major economic boom in the wake of WWII, while the onset of the Cold War had shifted the politics of the country right. The Civil Rights movement was gaining steam. Rock-N-Roll was emerging on the scene with artists like Sam Cooke, Buddy Holly, Howlin’ Wolf, and others were captivating teens. Juvenile delinquency was up during the time, and movie stars like James Dean weren’t helping matters. The seed that germinated the movement against the automatic knife can be traced back to a 1950 article that appeared in the Women’s Home Companion called “The Toy That Kills.” It basically lays out how the switchblade will quickly become the weapon of choice in gang warfare if it’s not taken care of. America became obsessed and fearful of the possibility of ethnic gangs and delinquents, and Hollywood seized the opportunity to make films about it. In the mid-1950s, movies like Rebel Without a Cause, Crime in the Streets, The Delinquents, and others prominently featured violence among the youths and the switchblade became a symbol of delinquency. Not long after, the senator from Illinois introduced a bill that banned automatic knives in an attempt to reduce gang violence in Chicago. In 1958, the Switchblade Knife Act passed and switchblades have been banned federally ever since. Over the years, more and more people have realized the original switchblade ban was born out of fear and misinformation, so why does the law remain? The difficulty of getting anything done in Congress cannot be overstated. Not only that but something as controversial as lifting a ban on switchblades is not easy to come by. Many members of congress do not want their name attached to a lift of the ban. However, the knife advocacy group Knife Rights did clarify the law a bit when it helped add an amendment to the ban in 2009 that clearly exempts spring-assisted knives. More recently, Rep. Andy Biggs introduced the Knife Owners’ Protection Act of 2017 — a bill thought of and authored by Knife Rights — in the House of Representatives. This leads us full circle as to why switchblades should be legal. Customers point out that in their states, they can carry switchblades because it’s not a regulated item. That’s all fine and well, but we can’t sell automatic knives across state lines thanks to federal law, which brings us to yet another issue. Many state laws conflict with the federal ban. The confusion between automatic knives and spring-assisted knives has led to unwarranted arrests and even deaths. Knife Rights has passed or is trying to pass laws that repeal the ban in various states. For example, in Maine, the switchblade ban was recently repealed, yet we won’t be able to sell there unless the buyer is an authorized member of the military. 1. The Switchblade Ban was passed under false pretenses and fear of a phantom menace. It now seems antiquated. 2. Law-abiding citizens can’t buy automatic knives from businesses like us unless they’re members of the military or only have the use of one arm. It’s somewhat of an arbitrary distinction. 3. Federal laws conflict with state laws, causing issues with jurisdiction and confusion on legality. 4. It’s difficult to discern the difference between a switchblade and a spring-assisted knife, which can lead to confusion and unwarranted arrests. This last point is actually bigger than you might think. The whole Freddie Gray incident, in which a man was killed by police after they said he was carrying an illegal switchblade that was actually legal, has brought the issue to light even more. News outlets like the Chicago Tribune have recently questioned the point of banning switchblades as a result. In New York, tons of people are arrested on charges related to switchblades but few convictions actually happen. These mixups just ruin people’s lives and put an extra burden on police. 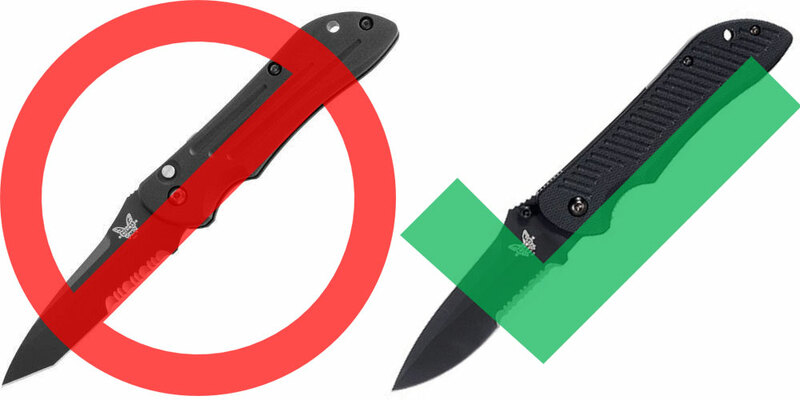 Aside from our own small issue of not being able to sell automatic knives to everyone, these points perfectly sum up why switchblades should no longer be banned. They should be legalized completely. I can get my spyderco out and open as fast as a switch Blade and it is sturdier than an auto. If they can make pot legal then why not a piece of cool machinery? All great points. At this point, the ban is arbitrary. Some assisted openers, which are legal, open faster than autos. When I was a kid, I ALWAYS had a switchblade in my fishing tackle box, try holding a fish you caught, and fumbling around trying to open a knife to cut a line or dig out a fish hook! Now, what I carry is open assist, basically for the same reason, as a former police officer, there were many instances when a knife was very necessary but trying to open one with your hands full is nearly impossible…an open assist could possible save someones life! i.e. cutting a seat belt! How about sales done In-State? Still just LEOs and special needs? This law just reminds me how backward we as a county are in many ways. We have ban on switchblades and yet, just out today, the report on how the TSA failed to identify potential “terrorist” paraphernalia 97% of the time….and yet they want to confiscate my nail clippers because it has a nail file everytime I fly. So my wife and I recently attended a small venue concert and I was asked to either give up my 1.875″ Nano or walk it back to my car. I’m no small guy – about 5′-11″ 230 lbs and decently lean. I told the guy if I wanted to hurt someone I sure as hell wouldn’t use this little knife to do it – my bare hands are enough. Or lets talk about guns. I can go to almost any gun shop I want and order an assault rifle…then search the Internet to find a kit to make it fully auto. The point is knives or guns don’t kill people. People kill people. Unscrupulous people will use whatever it takes to get what they want…whether it’s a knife, gun, broken bottle, chain, bat, Anthrax, Ebola,….you get the point. Continuing to ban certain knives is just idiotic. When the TSA planned to allow knives back on planes to allow for agents to look for things that were actually dangerous like bombs, people were in an uproar. Now we’re seeing terrorist paraphernalia getting through at an alarming rate. It may not be connected, but it’s possible they might have caught those things if they weren’t worrying about the small things. Good article. It’s hard to find something objective about automatic knives. Since they are legal in my State, I own several. However, while traveling in another state (Illinois) my knife was taken from me by a law enforcement officer. So, let that be a caution to anyone like me is accustomed to an automatic as his everyday carry. I didn’t think and it cost me a very good (and expensive) knife. Thanks. The hardest part for people to understand is the fact that the laws are so varied from state to state that there’s a risk of traveling anywhere with automatic knives. In fact, some states still have different laws from city to city. So you could go from legally carrying a knife in one town and then being a criminal in the next. This definitely needs to be addressed. Out-the-Front (OTFs) automatic knives are nearly legal in Wisconsin. Want a great auto OTF, checkout RavenCrest Tactical! GREAT quality knives w/ Forever Warranty.! Customizable knives at ~1/2 price of a BenchMade OTF! • Use “WiscoKid” code to get 10% off your entire order!!! The old laws were so vague & open to interpretation by the LE officer, they caused many legal issues & frustration. Hypothetically, assume you’re carrying your Auto OTF in your pocket and get pulled over for going 6 mph over the limit. A Wisc LEO had the power to change you with a felony weapons charge (esp if you have prior weapons or violent crimes charges), a concealed weapons charge, and assault of a LE officer if your knife pokes the officer if they perform a pat-down! Basically the laws on the books allowed the LEO to go on a power-trip and really screw up someone’s life, just for being a knife enthusiast! Roy & Tim are right! Illinois has draconian knife laws! NEVER travel there with an OTF or even spring assisted blades!!! If in Chicago, you’re begging to go to Cook County Jail… No personal experience, but i’ve heard way too many stories to ever take the chance of traveling thru Chicago with an OTF! Great Article, guys!!! Take care. I don’t care how fast ANY automatic knife can ever get. NO automatic knife will ever come out as fast as a fixed blade knife, because it’s already out!! And that is what I carry all the time to avoid the nonsense. I (and other people I know) can get assisted opening knife out just as quick as a switchblade blade, so what is the point. Plus, when one state has switchblades legal and the they go into a neighboring state where it’s illegal with the knife not even thinking about it, that could cause serious trouble. This was a really great and informative article. Automatic/otf knives sometimes get a bad rap, but as many have mentioned in the comments, they can also have many highly functional uses for everyday carrying.